Every successful real estate investor, at lease those that stand the test of time, will tell you that the key to their success was getting processes and systems in place to facilitate scaling their business. So many real estate investors get into real estate investing to pursue the dream of determining their own destiny…only to become their own key employee. If you want to learn from a master, check out this interview with Joe McCall. 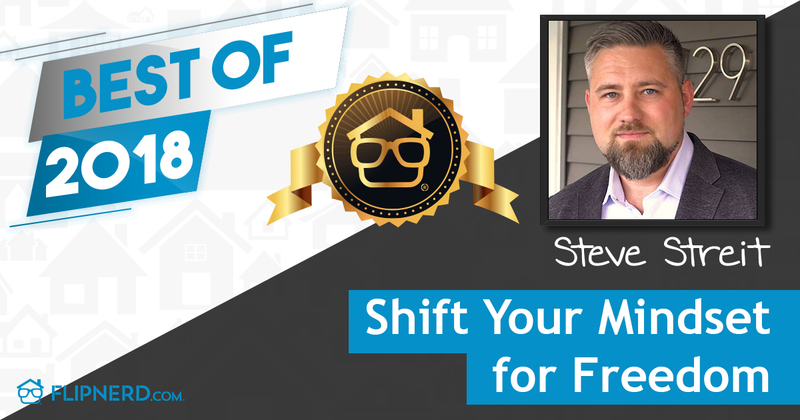 Don’t miss this episode of the FlipNerd.com VIP Flip Show. Meet Joe McCall, successful real estate investor and go-to guy for real estate business processes. Learn how Joe overcame early ‘analysis paralysis’ and built systems to grow dramatically. Learn about wholesaling lease options, and how Joe runs a virtual business. Mike Hambright: Welcome to the FlipNerd.com podcast. This is your host, Mike Hambright, and on this show, I will introduce you to VIPs in the real estate investing industry as well as other interesting entrepreneurs whose stories and experiences can help you take your business to the next level. We have three new shows which are available each week in the iTunes store, or by visiting FlipNerd.com. So without further ado, let’s get started. Hey everybody, it’s Mike Hambright with FlipNerd.com. Welcome back for another flip show. Today I have with me Joe McCall, he is an experienced real estate investor, coach, mentor, author, he’s a fellow podcaster, which we’ll talk a bit about, and he focuses a lot on building systems and automating his real estate business to make his life easy and really run the business that all of us want to have. So before we get started with Joe, let’s take a moment to recognize our featured sponsors. Mike Hambright: Hey Joe, welcome to the show. Joe McCall: Hey, how you doing? Mike Hambright: Good, good. Glad to have a fellow podcaster on. So go ahead and introduce yourself and tell us a little bit about your podcast as well before we dig in to the topic of the day. Joe McCall: Yeah Mike, I’ve been wholesaling properties since 2009, I got started in 2006, I read the infamous Rich Dad, Poor Dad book, and learned…I got excited about real estate, started buying a bunch of properties, got in a ton of debt, way over my head, made a ton of mistakes, and through those mistakes, I learned the power of wholesaling. And I got into a world of trouble and got on the brink of bankruptcy and got out of that and started wholesaling properties in 2009 and been working full time doing that since 2009 actually. And I love this business. I love working from home. The coffee’s better at home, the bathrooms are cleaner, there’s no commute. You know, the other day, I had some meetings in downtown St. Louis and I got stuck in traffic both days, and I just could not believe how I guess I take for granted and I forget how miserable 90% of the world is every morning. Not the world, but I mean in the United States, who are stuck in traffic trying to get to their jobs. Joe McCall: But anyway, I started the podcast ’cause I love teaching and helping people, it’s called Real Estate Investing Mastery, started the podcast about three years ago, and get to interview great people and teach things and talk about what’s working now, and it’s a lot of fun, I just really enjoy doing what I do. Joe McCall: Forget them all. Mike Hambright: …go right to these two. Joe McCall: So here’s the cool thing. There’s a lot of really good podcasts out there, and I’d say that podcasting world is really exploding and a lot of people are discovering podcasts, they’re getting their Androids or their iPhones and starting to find out that there’s these really good shows out there that they can listen to on demand whenever they want and hear. So I love the podcast media. And it’s just a great way to give great information out to people, to help people. And I look at what got me started in this business, and I’m so grateful for my coaches and my mentors that got me started, and so it’s just kind of a way, honestly, to give back a little bit. And I love teaching people and I partner with students, I partner with listeners all the time on deals. Partner on deals with students. Joe McCall: So, it’s awesome. Mike Hambright: Yeah, and I think just the opportunity, I know you’re part of Collective Genius and probably some other mastermind groups, but I think it just helps you stay sharp, helps me stay sharp, to get to talk to other people that are in the business and learn things and take little nuggets away and maybe do something with it or not. But I think it just helps you stay sharp and breaks up the monotony of your day-to-day business. Because real estate investing, for a lot of folks, it can be a real lonely business sometimes. Mike Hambright: A lot of folks are, you know, lone wolves out there. But yeah, great. Well tell us a little bit about your background and how you got started, a little bit more about it and what you did before real estate investing. And I’d love to talk some more about all your automation stuff. I know you’re a big systems guy, so. Joe McCall: Well, I’m a systems guy, I think, because my engineering background. I was born and raised in Southern California, and still love the beach, and I try to go out…in fact, I was just there a few days ago. Joe McCall: But so I went to Iowa State University. For some reason, don’t ask me why, I moved from San Diego to Des Moines, Iowa. Mike Hambright: I grew up just a few hours from there actually. Joe McCall: That’s right, that’s right. So I went to Iowa State University, got a degree in engineering, I got married my senior year in college, my last year in college, my last year, actually, I went for six or seven years. I got married my last year, and my wife and I went to Prague in the Czech Republic for about six months through a student exchange program, and we fell in love with world travel. So we went out again in 2000, I got a job with a big engineering company in Kansas City, we moved there, and started traveling all over the country doing large power plants, building large power plants. Eventually moved to St. Louis and started wholesaling properties right about that time, in 2006. Buying properties in 2006, started wholesaling in 2009. But I’ve always been this kind of thinker, systems analytical guy. I found that for me, I’m wired where I have to analyze everything, right? And I have to know all the answers and I have to have all my what-ifs figured out. And I have to understand steps one through eight all the way through before I start doing steps one and two. And that can become a hindrance and a roadblock for a lot of people. And for me, I would buy a bunch of courses and I’d study and I’d have it all figured out, and I would buy another course because I thought there was some missing key, missing piece in that other course. So I’d buy that other course. And then I had a bunch of courses but I never did anything with them. And then I would take the best of each of them and try to mash them together in my own thing. I started doing a bunch of different kinds of deals, and I was really struggling, because I was trying to be a jack of all trades but a master of none. And I was always afraid to take action because I felt like I had to have all the answers. I had to have it all figured out. But it became a real problem where I was spending more money on education than I was making. And we were on the brink of bankruptcy, and I was trying to figure it all out, and I wanted to be a full-time real estate investor. And I said, “You know what? I’m going to go back to the basics, the fundamentals of real estate investing.” Which I believe is wholesaling. Learning how to find a good deal, how to negotiate at a good price, and flip it and sell it, either to another investor or to an owner-occupant. So I did buy one more course, and I said, “I’m just going to do what this guy says.” And it was Cris Chico’s course on virtual wholesale. I said, “I’m going to do what Cris says whether I like it or not, I’m not going to worry about steps seven and eight before I start doing steps one and two. So I read the first chapter and I did that. And then I read the second chapter and I did that. And it really was hard because I was like, “What if this happens, or what about that?” and, “Oh my goodness, what if they say this?” And I just said, you know, “I have got to do this.” So I sent out his postcards, I started using his phone scripts, I started asking the sellers the questions like he had them. Even though I didn’t like it, even though I thought that I knew there was a better way. And so all of a sudden, I started actually…it worked. I started making money. I couldn’t believe it. I was floored, that I was now making $5,000-10,000, $13,000. My first deal was $13,000. Joe McCall: And I started making money doing what these guys taught, and it just blew me away that that could happen to me. And so then I started wholesaling lease options, which I can talk about later if you want, but when I started flipping lease options, within about three months, my part-time income flipping lease options surpassed my full-time income at my engineering job, and that’s when I quit and started doing it full-time in 2009. Mike Hambright: That’s awesome. And that’s what everybody wants, right, is to be able to replace your jobs, so. Mike Hambright: I mean, it’s a starting point, and then of course you want to raise the goal to another level, so. Joe McCall: My goal…I wanted to have like 6 months of income in the bank, and that didn’t work out. But I was consistently, for three or four months, flipping deals regularly with income that was surpassing my full-time income. So I knew that if I left, I could devote more time into it. Joe McCall: …We see this. I’m going to guess that you’re the same way, Mike. Mike Hambright: Uh, I’ve got some Green in me. Yeah. We don’t have enough time to talk to my profile. I’m screwed up, now. But I think the great thing is you need people like you to be able to define those processes. Because there’s so many people that just want to go get after it, but they don’t know what to do. They need some definition around how to define that, so it sounds like you found the best of both worlds. Joe McCall: Well what people need to know is they need to know their strengths and they need to know their weaknesses, right? So it’s not…you shouldn’t beat yourself up because you’re one type of personality and not this other type. Mike Hambright: Right right right. Joe McCall: What you just need to do is create systems and find people that can do the other things for you. So if you’re really good at analyzing deals, that’s great. If you know how to set up systems and do the marketing, that’s great. So then you need to find other people that can do that stuff that you’re not good at. Like I know how to talk to sellers, and I know how to close and negotiate and get a good deal, but I had to work really hard to do that. And I’ve found other people that are better at it than I am. That I send the leads to them and they go negotiate with the seller and build the rapport. Because they’re better at it than I am. Mike Hambright: Yeah, I think what you said…before we had this second conversation here, you were talking about how you knew that the problem was you not being able to get past the system. Very few people I know that are like that that need that box to play within and they need…they never have enough information. Very few of them actually realize that they’re part of the problem. So to hear you say that, it was interesting. I’d encourage everybody right now to think about what you just said, which is it’s important to understand who you are and know what your weaknesses are, and then try to figure out ways to overcome it, whether it’s partnering with somebody or working with somebody or getting a coach or a mentor or a course, or whatever it might be, to help fill out those areas that you might be not as strong in. Joe McCall: But for heaven’s sakes, stop over-everything. Just take action. It’s okay if you make a mistake, right? It’s not going to be the end of the world, you don’t have to have it all figured out, you don’t have to have your business logo figured out and your website and your business cards and your bank accounts and your L.L.C. and the incorporation, all of that. That’s important stuff, but, you know, just…I just heard this phrase the other day. Done is the new perfect. And so many times we try to get things perfect before we take any action, or understand everything 100% before we take action. And that’s what we’re taught in college, you know? You go through school and you study all this stuff to get ready to go into the real world. Well the real world isn’t all cookie cutter like we want it to be. Mike Hambright: Especially real estate. Joe McCall: Oh, real estate’s the worst…it’s definitely the farthest thing from cookie cutter. Every single deal is different. There’s always something new that comes up. Well you’ve got to understand the basics. And I tell people all the time, “Just focus on steps one and two, and let seven and eight worry about itself.” It’s almost like…I’m not advocating this 100%, but sometimes you just got to jump off the building and figure out how to fly as you’re falling, you know? And the most successful of people I see are like that. They’re ready, fire, aim. But I was stuck in the ready, aim, aim, aim, aim, aim, and I would go back to ready and study some more, and aim, aim, aim, aim, aim, and I could never get to fire. Well, go ahead and buy that one more course or dust off the dust from that other course that you just bought, and just focus on that one thing, and say, “All right, I’m going to do this, and I’m not going to let anything stop me, I’m not going to get distracted by anything else, I’m just going to do what this guy says.” Step one, step two, all right? So that’s what I tell people. Just focus on one thing and figure that out, get it done, and then move onto the next thing and focus on that one thing until it’s set up and systematized. And then go to the next thing and set that up until it’s systematized. You know what I mean? Mike Hambright: Absolutely. And it’s hard to want this, but in all honesty, the best learning experiences you have are your failures. Joe McCall: Well you’re failing forward fast. There’s another podcaster, I think it’s Justin Williams maybe, that talks about that. At House Flipping HQ. Great podcast. But anyway. Failing forward fast, right? You’re failing, but you’re failing forward, and it’s fast, right? So you’re making progress. You can’t steer a parked car. You can’t. And I was parked for years. And it’s finally when I started moving and progressing and making mistakes that I started making money. Mike Hambright: Yeah. So a lot of real estate investors end up creating a job for themselves in many ways. And it’s a roller coaster job because not many folks are doing high volume, and even if you’re doing a deal or two a month, which for some folks sounds like a lot, you know, you might go four or five, six weeks without buying a house, and then you buy two, and it’s just a roller coaster emotionally and even financially it can be. And so I can appreciate your need and interest in systems because I’m the same way. So talk a little bit about the importance of systems for real estate investors and how they…without getting too specific on which C.R.M.s and stuff like that, that’s a little bit paralyzing too, because there’s a million of C.R.M.s out there, and none of them do exactly what you need. Like there’s bits and pieces that, “Wow, if this one just did what this one does, but didn’t have that, and…” It’s easy to get paralyzed with technology and putting systems in place. But just talk a little bit about the importance of it and how folks can kind of get past the paralysis that can easily happen. Joe McCall: Paralysis of analysis. “Oh, I could never do that again.” But that’s my own thing. I’m a big Apple fan now. But anyway, I was working 40, 50, 60 hours a week, and I didn’t have the time to do everything. And so I started doing a lot of marketing, I was doing a lot of marketing on Craigslist. And I realized, you know what, I could get somebody else…if I could train a virtual assistant to do this for me, that will handle my lead problems. Because I was like…you talk about the roller coaster. So I would do a bunch of marketing, and then I would take a bunch of calls, and I’d get flooded with calls, and so I’d shut my marketing off so I could handle the leads. I’d get some properties under contract, and I’d work real hard at getting them sold, and then I’d start making some money, and I’m all excited, then I’d turn around and there’s no more leads coming in. Then I’m freaking out and I’m thinking, “Oh, great.” It’s not like a light switch you can just turn off and on, it takes time for that marketing to get going again, it’s kind of like a momentum. It builds momentum as it goes. So I realized to avoid those peaks and valleys, I need to get somebody to do that marketing for me in spite of me. And I thought, “Okay, how could I get a V.A. or somebody…” First I hired some local assistants. And I just used oDesk at the time. Joe McCall: And I found somebody in Indiana. And then I started thinking, “Well, I could get somebody in the Philippines to do some of this stuff for me.” So I got some people in the Philippines, and I started creating…I just wrote down everything I was doing. Step by step by step, what I was doing, and I put it in a Google doc. And then I created a video of me walking through that stuff, and there’s a tool that’s still around called Jing, J-I-N-G. So I created a Google doc that listed everything I did, step by step, and the marketing that I was doing with postcards and with Craigslist, and then I created a video of me doing that stuff and demonstrating it and talking about it, and Jing allows you to upload that video and then it gives you a URL, it gives you a link. So I put those links at the top of the Google doc. I’d find a virtual assistant, and I’d just share that Google doc with them. And they would watch the videos and see the outline and then use my spreadsheets and then they would start doing that marketing for me. Joe McCall: And all of a sudden now, I had a procedures manual of all these different things, and if my V.A. quit, or if I had to hire an additional one, I just shared that Google doc with them. I didn’t have to spend any time training my new V.A.s. So it started working out really well because now my leads, my marketing is going out for me in spite of me. Because…and I should have mentioned this first, because I realized early on that marketing is the most important part of this business. Marketing…we’re not in the real estate business, we’re in the marketing business. And lead flow is the lifeblood of a business. It’s the most important thing. If you get anything out of anything I say, you’ve got to be an expert on marketing. So I knew that early on. I got now a V.A., I have a V.A. now doing all of my marketing. The leads are now coming in consistently. All I have to worry about is answering the phone or returning phone calls, whatever. Then all of a sudden I’m realizing I don’t have much time to talk to sellers, because the leads now are coming in and there’s a lot of them, and the only time I can talk to sellers are on my lunch break or my drive home. Because I had two or three kids home at the time. And so I found a friend that started taking those calls for me, and I paid him a commission and I gave him the script, I gave him the training, I said, “Talk to them, ask them these questions, and if they say yes to these questions, schedule a time to go see them at their house, give them this one-page contract” – I tried to keep it as simple as I could – “And then once you get under contract, great.” So he started doing that, and I started getting properties under contract. And now I don’t have time to sell them, so what am I going to do? Well, I created a system for that. And I started hiring realtors to sell my properties for me. And I gave them a simple checklist, about 30 different things to do when they get my properties under contract. And I would pay my realtors an average of about $500 per deal. And so now while I’m still doing my full-time job, I’ve got virtual assistants in the Philippines that are bringing the leads in, I have a local friend who’s my acquisitions manager, quote unquote, and he’s taking the calls, meeting with the sellers, and just…he has a simple script and he gives them my one-page contract. And he started doing a lot of these deals over the phone, closing them without even seeing the homes. And then I have a realtor who, once we get it under contract, will take my checklist, will take pictures of the home, will put signs in the yard, put a lock box on the door, take the calls, put it on my website, put it on Craigslist, take the calls, take the applications and show the properties, and will do all of that. Just like a leasing agent would, because these are a lot of lease options that I was doing. Joe McCall: Starbucks…you’d think normally, you know, you don’t want to see American franchises in Europe, but I love Starbucks because it’s the only place you can buy brewed coffee, right? Everyone there only sells like espressos and stuff. I just like plain old brewed coffee and so Starbucks was our favorite…we never went to McDonald’s, but we went to Starbucks all the time. But anyway, while we were there in Prague for two months with my four kids…my wife home schools our older kid, my team and the system I was talking about wholesaled two or three properties, they flipped two properties, and 100% without my involvement, and they got a third one under contract. And they would…again have the V.A.s. do the marketing, I had the local acquisitions guy take the calls, the realtor would sell the properties, etc., etc. And so ever since then I’ve just been a huge systems guy knowing that the power’s in the systems. So I talk about the three keys to success, marketing, automation, and delegation. Marketing is number one. You have to be a master of marketing. But then you create the systems that will turn that marketing on autopilot to get it done for you in spite of you, right? There’s systems that…just like McDonald’s, how can a multi-billion-dollar company be run by a bunch of teenagers? Well they have the systems and everything’s done the same way. And then the delegation part of it is finding the people who can start implementing those systems for you. And that’s what I’ve been doing ever since. Mike Hambright: So on the buy side, are you buying houses over the phone, is that typically happening, or do you have someone who’s actually going out and negotiating? Joe McCall: Both, yes. So I do a lot of traditional wholesaling and wholesaling lease options. And you know, basically, traditional wholesaling, you find a property at a discount, and you sell it to another investor. We’re doing a lot of those rentals…we’re wholesaling a lot of rentals right now to landlords out of state. in St. Louis. And our website, if anybody’s interested, is StLouisCashFlowDeals.com. We don’t even put many of our properties on there because we sell them so fast, but you’ll see some example properties on there. That’s traditional wholesaling, .. Then I also flip lease options. Where we get a…if the seller wants too much money, and if it’s a nicer house and there’s not enough equity, we’ll approach the deal as tenant buyers. And we’ll say, “Hey, what if we could lease your property for a couple of years and then buy it, that would work for you, wouldn’t it?” So then we get the property under a lease option contract, we’re the tenant buyers, the seller’s the seller, but we have the right to assign that contract. So we’ll advertise it and find a pre-qualified tenant buyer that has a realistic shot at getting a mortgage in one or two years, who has at least 2-3% to put down. And we’ll assign or sell our contract to that tenant buyer and then we’re out of the picture, and we keep as an assignment fee 2-3%. So we approach every seller as, “We want to buy your house.” And if there’s not enough equity, if they want too much, if our cash offer doesn’t work, then we offer lease purchasing, and we wholesale that to a tenant buyer. Mike Hambright: So in terms of a percentage of your leads, can you talk about what percentage you’re able to do a wholesale lease option? Because a lot of folks, quite frankly, they want the house to go away, or the house needs too much work to where you probably…I don’t know what kind of condition you’re able to sell them in wholesaling a lease option, but they generally won’t be livable, right? Joe McCall: Yeah, well we only do lease options on the nicer homes, and in St. Louis, that would be homes over $100,000. So I do two different kinds of marketing. Right now we’re focusing most of our marketing on traditional wholesaling to find the cheap rental properties and flipping them to landlords. Because we’ve got buyers from out of state that are buying anything and everything that we find. So the great thing about traditional wholesaling is you only need one or two buyers and they’ll buy all of your properties. With lease options, you need a new buyer for every property that you get. And on the nicer homes, our marketing message is still the same. “Hey, we want to buy your house.” But most of those deals…so you asked about percentages. Mike Hambright: Yeah, I’m just curious. Because there’s a lot of reasons why that won’t work. If they need their money right away, or if the house isn’t livable, or they don’t want to be a landlord maybe. Joe McCall: There’s still a ton of sellers out there that don’t have any equity in their house. So they would love to sell it. And I ask this question all the time. “What are you going to do, Mr. Seller, if you can’t sell this house? What are you going to do? Rent it? Okay. Well why rent it to a tenant who’s going to call you every time the faucet leaks? Why not rent it to somebody who wants to buy it, who will fix the faucet themselves?” You know, so we pitch it totally different. Because yeah, everybody would love to sell their house. But they can’t. Not everybody can. And even this market can start to rebound a little bit. I’m actually starting to see it come down again, but the market is rebounding a little bit. And so sellers are starting to get real nervous. They’re not getting any interest, they’re getting a ton of showings, they’ve already moved, the house has been vacant, they’ve been making payments for six months on an empty house. They’re starting to freak out and they’ve been thinking, “You know, I’m going to have to rent this place out.” Well, we like to tell them, “Look, that’s great. You can rent it, but try renting it to someone who wants to buy it and you’re going to get a much better quality tenant. There’s a lot of advantages to it, and so it’s just on figuring that out. Joe McCall: Well personally, I don’t like Subject 2’s. Joe McCall: Yeah, and I know they’re bigger in Texas than they are pretty much anywhere else. But with Subject 2’s, I think there’s just a little too much risk involved in that for my liking. But I make sure that the rent covers the mortgage payment. And we use a third-party servicing company. So the third party collects the rent from the tenant and pays the mortgage every month. We take that out of the seller’s hands. And that protects the tenant buyer, because the last thing that you want to have happen is, that tenant’s been paying rent every month and then they get a foreclosure notice from the bank because the seller hasn’t been paying the mortgage. Mike Hambright: But you’re out of it, you’re not, a year from now, if somebody doesn’t make a payment, they’re not calling you. Joe McCall: Well yeah. The seller has this responsibility. It’s just like if they were going to be renting their house out. They’re making that payment every month. They’re responsible for that. And the seller also has to sign a document that’s allowing me to assign it to that tenant buyer. So they’re approving that tenant buyer also, as it were. And there’s no hidden…we’re not hiding anything, everything is fully disclosed. Mike Hambright: Right, right, right. Joe McCall: We’re only assigning that contract to somebody if the seller has already approved. Mike Hambright: Right. Yeah, Okay, okay. Awesome. Well Joe, if folks want to learn more about…I know you have some different programs available on teaching systems and automation and marketing and wholesale lease options, you’ve got all sorts of stuff out there. What are some of the best places for folks to go to learn more? Joe McCall: Well, I guess my main website, JoeMcCall.com, is the best place to go. JoeMcCall.com, and then my podcast is RealEstateInvestingMastery.com. If you’re interested in St. Louis deals, StLouisCashFlowDeals.com. Mike Hambright: Awesome. We’ll have links to the page here for everybody to easily find you so you don’t have to remember all those, but. Joe, I’m excited to talk to you more in the near future. And definitely appreciate your being on today. Joe McCall: Thank you, Mike. Mike Hambright: And I appreciate your willingness to share information and make this a better industry for sure. Mike Hambright: Awesome. Thanks Joe, take care.